While vacationing in Florida this past year, it felt odd to turn down an aisle of the Winn Dixie grocery store and find displays of beer and wine for sale. As a lifelong Maryland resident, I never thought much about the idea of alcohol being available in a grocery store. However, in most parts of the country, shelves of chardonnay and crates of cabernet are a pretty common sight. In fact, Maryland is one of fewer than 10 states that prohibit alcohol sales at grocery stores. I find it difficult enough to navigate a new grocery store; I can only imagine how folks visiting or relocating to Maryland must feel searching and searching for a beer and wine section that doesn’t exist. While current state law generally prohibits alcohol sales at grocery stores, Maryland does have a few exceptions. Worcester, Wicomico, Talbot, St. Mary’s and Prince George’s counties, along with a few stores in Montgomery County are allowed to sell beer and wine. While our neighbors in Delaware can’t purchase beer and wine while they’re shopping for meat and produce, residents of Pennsylvania, Virginia and D.C. can. Cailey Locklair Tolle, president of the Maryland Retailers Association, which represents most large-chain groceries in the state, says that from a consumer convenience standpoint, Marylanders have wanted to see this kind of change for a very long time. The existing patchwork of regulations can be confusing. For example, she points to 32 grocery stores in the state where certain alcohol sales are permitted, either because of local laws or grandfather clauses. “This leaves consumers who live in Maryland and those visiting both confused and annoyed,” she says. Over the years, attempts to pass bills in Annapolis to allow grocery store sales in Maryland have generally died on the vine—so to speak—without even coming to a vote. 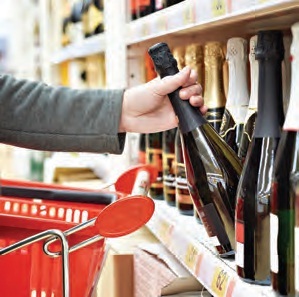 Much of the opposition to any bill allowing grocery store sales has come from the Maryland State Licensed Beverage Association (MSLBA), which is the largest trade association in Maryland representing independent alcohol beverage licensees. The MSLBA has long held that such a change in Maryland law would harm existing mom and pop businesses, many of which are located in close proximity to grocery stores. The MSLBA has also been vocal in its opinion that the number of existing alcohol retailers is more than adequate to serve Maryland consumer needs, based on the state’s current population. Maryland comptroller Peter Franchot has historically also stood in opposition to the idea, taking the position that beer and wine were not groceries and therefore belong in specialty retail stores. The comptroller offered a glimmer of hope to those seeking a change last year when he announced a change of heart. According to Franchot’s chief of staff, Len Foxwell, when the comptroller formed the Reform on Tap Task Force in 2017 to look into reforming Maryland’s brewery laws, he heard, loud and clear from the consumers that they overwhelmingly wanted to purchase beer and wine in grocery stores. 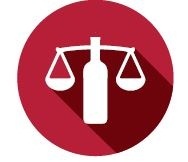 When asked about the effect this could have on the state’s specialty wine and beer stores, Foxwell pointed out that there is no evidence to indicate that both venues can’t successfully coexist. “One only has to look as far as Talbot County, where grocery store sales are allowed, and independent stores have continued to operate,” he says. If the rules loosen, grocery stores would be able to carry more inventory of the large national brands, while the independent stores would most likely claim their niche with specialty craft and locally produced products, he says, “an outcome that would certainly help local producers.” Such regulations wouldn’t apply to spirits, Foxwell adds. The hard stuff would still be relegated to liquor stores. Locklair Tolle says she was encouraged by the comments from the comptroller’s office. When it comes to jobs and businesses it has been shown that in states that have made the switch, independent stores and grocery stores that sell beer and wine can coexist. Locklair Tolle stressed that while she is happy to see that some local politicians have changed their stance, consumers will end up deciding whether the idea works. “It will ultimately be up to the voice of consumers,” she says. Since no bill has been proposed in the 2019 legislative session, all eyes will point to a potential initiative in 2020, but by whom is not yet known. It will be interesting to follow the support it will receive in Annapolis and throughout the state. Mike Cullison’s many years in the beverage industry have included gigs as beverage supervisor for a hotel, wine shop owner, salesman for a distributor and manager of a local winery. He shares his passion for local craft beverages hosting the “Thirsty Maryland” podcast.